Volvo is heralding safety technology, autonomous driving, and an all-electric future. This makes it a perfect choice for owners seeking a sustainable family car. Hold your vehicle to the highest standard with routine maintenance and auto repair services. 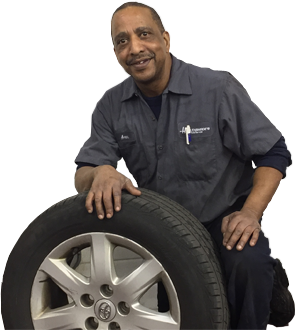 Hollenshade’s Auto Service is a dealership alternative in Towson, Maryland. We provide a premium ownership experience for your Volvo through quality and precision. Determine what your brakes need for better stopping power. Get a complete brake evaluation and schedule a repair service for your Volvo in Towson, MD today. After inspecting your car’s brake linings and other vital components, we provide an accurate repair estimate. Our team repairs your brake system according to Volvo specifications, including all replacement parts. We’ve been in the auto repair and maintenance business since 1939. And our experience has taught us that paying attention to all the areas of engine maintenance can go a long way in extending your vehicle’s lifespan. Improve your Volvo’s performance with our engine repair and maintenance services in Towson, MD. We provide accurate estimates and quality workmanship. Fuel is what keeps your vehicle moving. Your car’s system transports the fuel from the tank to the engine. Then, it converts the fuel into energy to make your engine work. Trust our skilled auto professionals to fix the components of your Volvo’s fuel system. We repair and replace your car’s filters, fuel pumps, fuel filler caps, injectors, and more. Protect your engine’s vital parts through regular oil changes. During an oil change service, our technicians will replace your Volvo’s motor oil using the top brands for full synthetic oil, synthetic blend oil, or high mileage motor oil. With regular oil changes, you can keep your engine properly lubricated and protected against excess friction and heat. Get the most out of the Volvo experience. Keep it running smoothly and schedule automotive service in Towson, Maryland. Fill out our online form to schedule an appointment today or call: 410-828-5750.